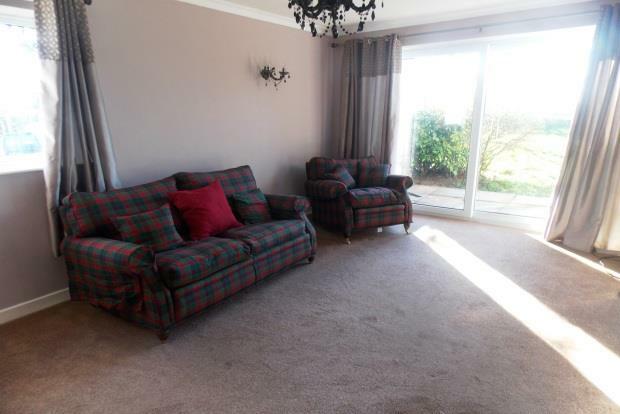 3 Bedroom Detached House To Rent in Stockton-on-Tees for £750 per Calendar Month. This perfect family home is situated in the beautiful village of Redmarshall which is surrounded by farmers fields and winding country lanes. The hallway leads to two well presented reception rooms, a kitchen and downstairs WC. As we enter the living room, the walls are decorated a light mauve and finished with soft carpet. There is ample space for your own furniture and the room is flooded with natural light from the patio doors which overlooks the rear garden. The kitchen has a great range of wooden wall and base units with marble effect work tops and tile effect linoleum flooring. Appliances include a fridge/freezer, electric oven and hob, washing machine and dishwasher. Upstairs there is a spacious landing which leads to three great sized bedrooms, two being doubles and one good size single. All are decorated neutrally and finished with soft carpet. The family bathroom is complete with; WC, sink and bath with overhead shower. Externally there is front and rear garden, driveway and a single garage providing plenty of off road parking. Two of the bedrooms have a double bed and wardrobes, with the third bedroom containing a single bed.